When World War II ended 70 years ago, much of the world – including industrialized Europe, Japan, and other countries that had been occupied – was left geopolitically riven and burdened by heavy sovereign debt, with many major economies in ruins. One might have expected a long period of limited international cooperation, slow growth, high unemployment, and extreme privation, owing to countries’ limited capacity to finance their huge investment needs. But that is not what happened. Instead, world leaders adopted a long-term perspective. They recognized that their countries’ debt-reduction prospects depended on nominal economic growth, and that their economic-growth prospects – not to mention continued peace – depended on a worldwide recovery. So they used – and even stretched – their balance sheets for investment, while opening themselves up to international trade, thereby helping to restore demand. The United States – which faced considerable public debt, but had lost little in the way of physical assets – naturally assumed a leadership role in this process. Two features of the post-war economic recovery are striking. First, countries did not view their sovereign debt as a binding constraint, and instead pursued investment and potential growth. Second, they cooperated with one another on multiple fronts, and the countries with the strongest balance sheets bolstered investment elsewhere, crowding in private investment. The onset of the Cold War may have encouraged this approach. In any case, it was not every country for itself. Today’s global economy bears striking similarities to the immediate post-war period: high unemployment, high and rising debt levels, and a global shortage of aggregate demand are constraining growth and generating deflationary pressures. And now, as then, the level and quality of investment have been consistently inadequate, with public spending on tangible and intangible capital – a critical factor in long-term growth – well below optimal levels for some time. Of course, there are also new challenges. The dynamics of income distribution have shifted adversely in recent decades, impeding consensus on economic policy. And aging populations – a result of rising longevity and declining fertility – are putting pressure on public finances. Nonetheless, the ingredients of an effective strategy to spur economic growth and employment are similar: available balance sheets (sovereign and private) should be used to generate additional demand and boost public investment, even if it results in greater leverage. Recent IMF research suggests that, given excess capacity, governments would probably benefit from substantial short-run multipliers. More important, the focus on investment would improve prospects for long-term sustainable growth, which would enable governments and households to pursue responsible deleveraging. Likewise, international cooperation is just as critical to success today as it was 70 years ago. Because the balance sheets (public, quasi-public, and private) with the capacity to invest are not uniformly distributed around the world, a determined global effort – which includes an important role for multilateral financial institutions – is needed to clear clogged intermediation channels. There is plenty of incentive for countries to collaborate, rather than using trade, finance, monetary policy, public-sector purchasing, tax policy, or other levers to undermine one another. After all, given the connectedness that characterizes today’s globalized financial and economic systems, a full recovery anywhere is virtually impossible without a broad-based recovery nearly everywhere. Yet, for the most part, limited cooperation has been the world’s chosen course in recent years, with countries believing not only that they must fend for themselves, but also that their debt levels impose a hard constraint on growth-generating investment. The resulting underinvestment and depreciation of the global economy’s asset base are suppressing productivity growth and thus undermining sustainable recoveries. In the absence of a vigorous international re-investment program, monetary policy is being used to prop up growth. But monetary policy typically focuses on domestic recovery. And, though unconventional measures have reduced financial instability, their effectiveness in countering widespread deflationary pressures or restoring growth remains dubious. Meanwhile, savers are being repressed, asset prices distorted, and incentives to maintain or even increase leverage enhanced. Competitive devaluations, even if they are not policymakers’ stated objectives, are becoming increasingly tempting – though they will not solve the aggregate-demand problem. This is not to say that sudden “normalization” of monetary policy is a good idea. But, if large-scale investment and reform programs were initiated as complements to unconventional monetary-policy measures, the economy could move onto a more resilient growth path. Despite its obvious benefits, such a coordinated international approach remains elusive. Though trade and investment agreements are being negotiated, they are increasingly regional in scope. Meanwhile, the multilateral trade system is fragmenting, along with the consensus that created it. Given the level of interconnectedness and interdependence that characterizes today’s global economy, the reluctance to cooperate is difficult to comprehend. One problem seems to be conditionality, with countries unwilling to commit to complementary fiscal and structural reforms. This is especially evident in Europe, where it is argued, with some justification, that, without such reforms, growth will remain anemic, sustaining or even exacerbating fiscal constraints. But if conditionality is so important, why didn’t it prevent cooperation 70 years ago? Perhaps the idea that severely damaged economies, with limited prospects for independent recoveries, would pass up the opportunity that international cooperation presented was implausible. Maybe it still is. If so, creating a similar opportunity today could change the incentives, trigger the required complementary reforms, and put the global economy on course to a stronger long-term recovery. This is an excellent comment from an economist that understands the true nature of the crisis today. Importantly, the world is awash in debt and liquidity but unless policymakers figure out a way to take advantage of historic low bond yields to invest and deal with unacceptably high chronic unemployment in the developed world, then deflationary pressures will persist and haunt us for a very long time. Global deflation is not going to happen? Really? That's news to me because I keep warning my readers to prepare for global deflation or risk getting slaughtered in the years ahead. Let's go over a few things which I think are confusing people. First, the euro deflation crisis is far from over. The fall in the euro temporarily boosted import prices and inflation expectations in the eurozone but the underlying structural issues plaguing its economies have not been addressed. Unless you have a significant pickup in eurozone employment and wages, you can forget about any reflation in that region. The ECB will keep pumping trillions into banks but unlike the Federal Reserve, it's limited in what it can buy in its bond purchases. Then there is Greece. The latest payment plan is just a shell game. The Greek disconnect is alive and well and threatens not only the eurozone but the entire global financial system through contagion risks we're unaware of and by extension, the entire global economy. Sharma, speaking Tuesday at the Global Private Equity Conference in Washington, D.C., predicted that the credit boom would cause problems. Whenever a country increases its debt to gross domestic product sharply over five years, in the next five years there's a 70 percent chance of a financial crisis and 100 percent chance of a major economic slowdown, according to Morgan Stanley research. The Chinese government this week cut interest rates for the third time in six months because of projected 7 percent GDP growth this year, the lowest level in more than two decades. Sharma said the slow growth he forecast would be around 4 percent or 5 percent over the next five years, about half the rate of what it used to be. "If China follows this template, it really is payback time," he said. Another speaker at the conference, former U.S. Gen. Wesley Clark, took a less grim view. "I'm not as worried about the buildup of debt in China as other countries," the founder of Wesley Clark & Associates said. He cited two reasons. The renminbi is not fully convertible to other currencies, and the Chinese economy still has elements of central control. "Every year people at these business conferences say the demise of the Chinese economy is coming very rapidly," Clark added. "But it hasn't happened. And President Xi is not going to let it happen if he can avoid it." Another China bull, Robert Petty, managing partner and co-founder of Clearwater Capital Partners, said China can forestall its debt problems. "We believe the balance sheet of China absolutely has the capacity to do two things: term it out and kick the can down the road," Petty said. It remains to be seen how Chinese authorities will forestall or mitigate the inevitable slowdown but if it's a severe slowdown, watch out, we're going to have more deflationary pressures heading our way (any significant decline in the renminbi will mean much lower goods prices for the developed world since we pretty much import most of our goods from China). The demographics of China and Japan are also scary. China is sliding into a pensions black hole and Japan isn't doing that much better. Some of the same structural issues plaguing the eurozone -- older demographics in particular -- are plaguing China and Japan. So if China slows down considerably in the years ahead and Abenomics fails to deliver in Japan, where is global growth going to come from? Europe? Nope. BRICS? Apart from India, the BRICS are weak and getting weaker, not stronger. Russia is trying to hold on for its dear petro life and Brazil isn't going anywhere as China slows down. Then there is America, the last bastion of hope! U.S. job growth rebounded last month and the unemployment rate dropped to a near seven-year low of 5.4 percent, but there's still plenty of slack in the economy with the number of Americans not in the labor force rising to a record 93.2 million (most of these long-term unemployed are women). Moreover, America's risky recovery poses serious challenges to the global economy, especially if the Fed makes a monumental mistake and starts raising rates too soon and too aggressively. At a time when 8.5 million Americans still don't have jobs, some 40 percent have given up even looking. The revelation, contained in a new survey Wednesday showing how much work needs to be done yet in the U.S. labor market, comes as the labor force participation rate remains mired near 37-year lows. A tight jobs market, the skills gap between what employers want and what prospective employees have to offer, and a benefits program that, while curtailed from its recession level, still remains obliging have combined to keep workers on the sidelines, according to a Harris poll of 1,553 working-age Americans conducted for Express Employment Professionals. On the bright side, the number is actually better than 2014, the survey's inaugural year, when 47 percent of the jobless said they had given up. "This survey shows that some of the troubling trends we observed last year are continuing," Bob Funk, CEO of Express Employment Professionals and a former chairman of the Federal Reserve Bank of Kansas City, said in a statement. "While the economy is indeed getting better for some, for others who have been unemployed long term, they are increasingly being left behind." Duration matters: The longer someone was out of work, the more likely it is that they've quit looking. Of the total, 55 percent who were unemployed for more than two years fell into the category; 32 percent of those idle for 13 to 24 months and 34 percent out for seven to 12 months had quit as well. Just 21 percent out for three months or less had stopped looking. Overall, nearly 1 in 5 (19 percent) said they spent no time looking for work in the week previous to the survey. Just 10 percent said they spent more than 31 hours looking. Federal guidelines allow for 26 weeks of unemployment compensation, though extended benefits are available in some circumstances. Nearly 9 of out 10 respondents (89 percent) said they would "search harder and wider" for work if their benefits ran out. Moreover, in a series of statements about benefits, the one that garnered the most agreement, with 69 percent, was that benefits were "giving me a cushion so that I can take my time in searching for a job," while 59 percent said compensation "has allowed me to take time for myself," 36 percent agreed that it "has allowed me to turn down positions that weren't right for me" and 40 percent agreed "I haven't had to look for work as hard knowing I have some income to rely on." 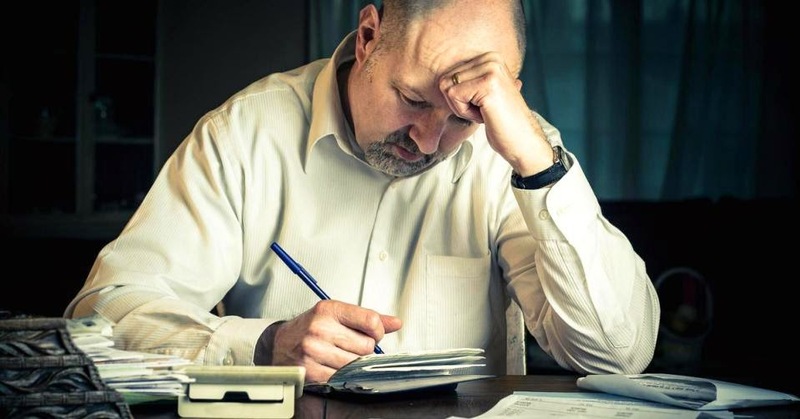 Of those out of work and not receiving benefits—those who have quit looking are not eligible—22 percent said their benefits had run out and 32 percent said they weren't eligible. The decline in labor force participation, in fact, has been a key to the drop of the unemployment rate in the post-recession economy. The jobless rate has slid from a high of 10 percent in October 2009 to its current 5.4 percent, the lowest level since May 2008. However, the participation rate has fallen from 66.1 percent to 62.8 percent during the same period. Benefit programs have expanded as well, even as unemployment compensation dropped from the 99 weeks of eligibility during when the jobless rate was much higher. The Supplemental Nutrition Assistance Program—food stamps—now serves 45.7 million Americans, down from nearly 48 million in 2012. "Over the last year, we have seen the unemployment rate go down, but we too easily forget that there are people still hurting, still wanting to work, but on the verge of giving up," Express Employment's Funk said. "I believe everyone who wants to work should have a job, so we must not overlook those who have been left behind and left out of the job market." The global financial crisis of 2008-10 had a big impact on jobs. Employment growth has stalled at a rate of about 1.4 percent per year since 2011. While this compares favorably with the crisis period when that rate averaged 0.9 percent, it is below the 1.7 percent annual rate between 2000 and 2007, according to the International Labour Organization. The slower employment growth since 2011 compared with before 2008 means there are 61 million fewer jobs in 2014 than there would have been had the pre-crisis growth trends been maintained, the ILO said. In 2013, that jobs gap corresponded to an estimated $1.2 trillion in lost wages around the world, which is equivalent to about 1.2 percent of total annual global output and roughly 2 percent of total global consumption. I know all about chronic unemployment and discrimination, and vent on my blog from time to time (like here, here and here) because nothing is more incredibly frustrating than applying to jobs you're eminently qualified for only to get shut out because of political or discriminatory reasons. But I dealt with unemployment by taking matters into my own hands, effectively creating my own job. I started this blog in 2008 and built it up one comment at a time to be one of the most read blogs on pensions and investments. I turn some people off sometimes but that's alright, I'm not writing this blog to win a popularity contest nor are they living my life to fully appreciate what I've lived through or where I'm coming from. Some people have helped me financially but nobody has offered me a job. Anyways, chronic unemployment is an issue. Companies don't like hiring people who have been out of a job for a long time because they think their skill set has been eroded and they have nothing to offer. In some cases, this may be true, but in others it's blatantly false. In all cases, these are human beings who deserve an opportunity to work and provide for themselves and their family. And what happens to all these chronically unemployed people when they're out of a job for such a long time? They end up on social assistance, collecting food stamps to survive. This is the reality for millions of Americans living in the United States of Pension Poverty. This is why when people get all excited about an improving labor market, I can't help but point out any improvement that doesn't improve the lives of millions of chronically unemployed is simply a chimera, an illusion that neglects the gravity and reality of how bad the situation really is. Getting back to Michael Spence's comment, he points to rising inequality but fails to make the following connection. Rising inequality, the ongoing jobs crisis, the ongoing retirement crisis, the aging of the population, are all extremely deflationary factors. Spence alludes to it but doesn't delve into these topics. We need as a society to start taking the long, long view on public investments, jobs and pensions. If we don't, we are doomed to repeat the same mistakes of the past. Central banks can keep on printing but that won't address deep structural issues plaguing our economies, rising inequality and chronic unemployment being the two most worrying trends. Below, digging into soft economic data, and what is signals about employment, with Joe LaVorgna, Deutsche Bank chief economist, and CNBC's Steve Liesman. Also, the cataclysmic gold bugs over at Zero Edge posted an older clip of Bridgewater's Ray Dalio slamming Buffett and touting gold, but I was more interesting in this comment: "we're beyond the point of being able to successfully manage this... and I worry about another leg down in the economy causing social disruption... Hitler came to power in 1933 because of the social tension between the factions." I hope Ray is wrong about that. On Friday, I will peek into the portfolios of top funds, including Bridgewater and show you what they bought and sold last quarter. Also, let me end by plugging an ebook my friend Brian Romanchuk just completed, Understanding Government Finance. Brian sent me an advanced copy and it's a superbly written book which explains Modern Monetary Theory (MMT) and a lot more in very clear language. I highly recommend all of you, including Ray Dalio, take the time to read it and understand the points Brian is advancing on debt and deficits. I embedded a clip of Warren Mosler, one of the fathers of MMT, where he explains the tenets of this theory in clear language. Listen carefully to this interview.